The exquisite Christmas decorations are displayed at our Shrine every year during the Christmas season. This year they will be up until January 20th, 2019. 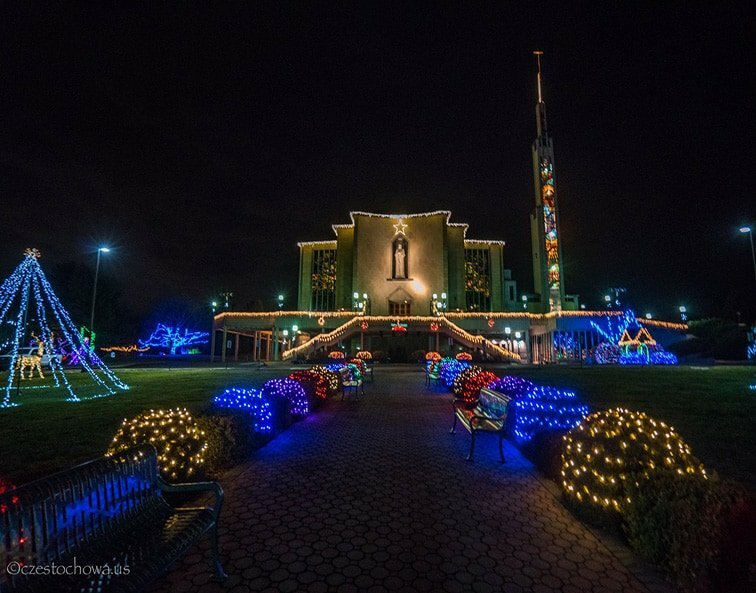 A light show of 100,000 outside lights and 8000 inside lights; many locally-purchased Christmas trees standing over 12 feet tall; an outdoor live Nativity scene with animals; and an indoor Neapolitan-style Nativity scene with over 40 moving statues, located to the right of the main altar, are just some of the Christmas attractions which surround visitors with a festive ambience. You can still see all of these beautiful decorations at our Shrine. Come and visit!